Six years ago, UFC featherweight Alexander Volkanovski was practically a different person. A standout rugby player for the Warilla Gorillas, Volkanovski won Man of the Match in his league's version of the Super Bowl and notched Player of the Year honors by doing—in his words—just one thing: running straight. "Give me the ball, and I'll run straight," Volkanovski told FloCombat. "I used to be one of those guys." Imagining a featherweight running full blast and trucking opponents seems a stretch, though. That's where Volkanovski's physical transformation comes in. "I used to be a 97-kilogram front row’er," Volkanovski said. 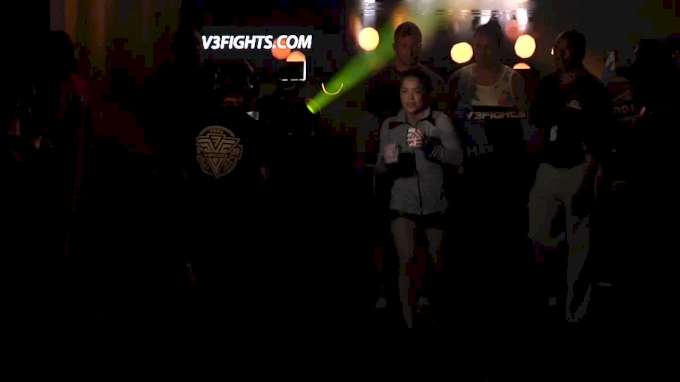 "It’s a crazy change now to fight at featherweight--that’s 66 kilograms. Thirty kilograms lighter, which is unbelievable. "A lot of people thought I was mad when I decided to make the change [to MMA], but it’s all there for the better now. It’s a lifestyle change with the weight and just everything--eating, I look a lot better, healthier. Now I’m fighting for the biggest promotion in the world, the pinnacle of the sport." Just as he did in rugby, Volkanovski excelled from the jump in his MMA career. At 14-1 with nine knockouts and three submissions during that stretch, he's widely regarded as one of Australia's most promising up-and-coming fighters. But at 28 years old, Volkanovski understands he doesn't have forever to make a splash. Winning his UFC debut at UFC Fight Night 101 via TKO was a start. Now it's time to crank the intensity Saturday, June 10, at UFC Fight Night 110 against longtime Japanese standout Mizuto Hirota. "Not being cocky, but I definitely believe in myself, and I definitely believe I’m ready for the top 10 guys," Volkanovski said. "But obviously you need to work and you need to earn that shot. But to get this win, he’s a decent name, and I want to put on a performance too so that I do have the right to start calling out some of these guys. "Especially coming from lightweight down to featherweight, taking out a decent name in knockout fashion or something like that. I believe that’s what will happen. Then I would love to call somebody out." Volkanovski, however, doesn't buy into the "bad guy" or "heel" angles currently permeating the MMA space. He thinks sometimes good guys finish first, and asserting that fact is objective two after defeating Hirota. "It’s about time the good guys make some money." If his career thus far is any indication, Volkanovski may well be cash fat stacks in the near future. A product of Tiger Muay Thai in Phuket, Thailand, and his hometown Freestyle Fighting Gym, Volkanovski's flashed ferocious power to go with his wrestling base, making him a problem for all comers. "I was actually a national champion wrestler," he said. "Back in those days, that would’ve been when I was like 12 or 13. Wrestling wasn’t that big in Australia. I like to say ‘national champion’ rather than ‘Australian champion.’ (laughs)"
June 10 at UFC Fight Night 110, he'll receive a grand opportunity to show off that well-rounded game and stamp his arrival on the map of MMA fans across the globe. Making the moment a little sweeter for Volkanovski, he fully expects some love from the New Zealand crowd. While the two countries share some rival qualities, there's also a bond between them, and Volkanovski fully expects that to show through when he takes the cage. 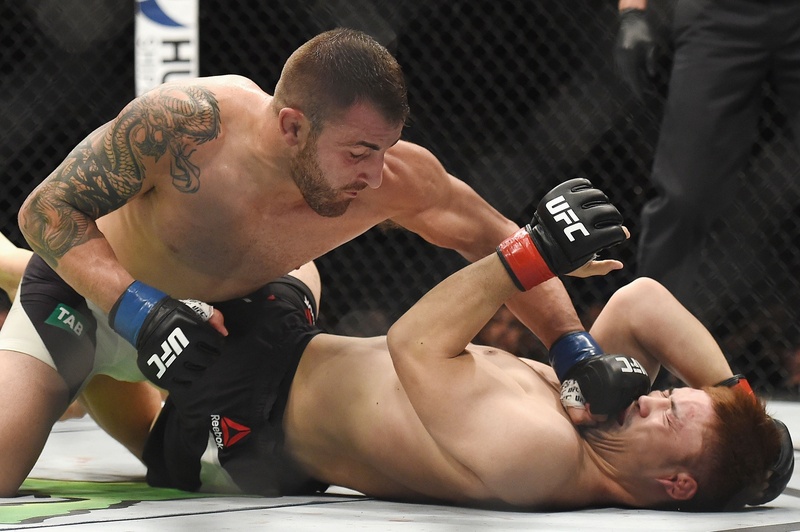 "It depends on the individuals, but I mean, I fought a couple of New Zealanders, and a lot of them follow me as well, so I’m hoping I get a bit of a crowd," Volkanovski said. "I got somebody in my corner who is a New Zealander as well, so I might show him off a little bit. I might do a haka on my way out too, then they really won’t be able to say anything." And while he's not one to talk too much smack, Volkanovski let fans know to keep their eyes glued to the screen after his win. His post-fight speech might just contain a zinger or two. "If I get a nice victory, if I get a big knockout or something like that, I need to capitalize on that moment while all the eyes are on me and really catch the audience," he concluded.